Brentwood is a hamlet and CDP located in the Town of Islip, named for the town in the settlement of Essex, England of the same name. The original village was founded in 1851 by Josiah Warren and Stephen Pearl Andrews who sought to create a mutualistic society centered on the principles of individual sovereignty and responsibility. Within their community, then known as Modern Times, there were no set laws, courts, jails, police, or system of authority. All property was private and the local currency was based on a system of labor exchange. Despite the lack of structure (or, as Warren and Andrews would argue, because of it) there were no reports of crime or records of calamity within the village. As other, less libertarian individuals began to settle the area, Modern Times slowly dissolved and assimilated into the larger surrounding society, giving way to what would become Brentwood. During the early 20th century, Pilgrim Psychiatric Center was constructed in Brentwood, which remains to this day one of the world’s largest facilities dedicated to psychiatric health. 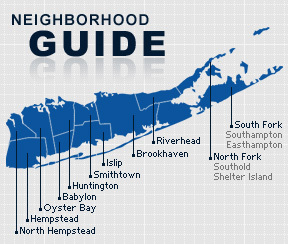 The hamlet is now also home to multiple establishments of higher education, including Suffolk Community College and Long Island University. Residents of note include prominent Hip Hop artists EPMD, former US Ambassador Robert Gallucci, LA Laker general manager Mitch Kupchak, Punk bassist Enricco Colon-Lopez of The Casualties, and credited “Father of the Macintosh” computer Jef Raskin. As of the 2010 census, Brentwood had a population of 60,664 with 13,654 households and an average household size of about four individuals. The median household income was $66,818 with males making $35,382 and females making $32,210.